Ahhh, Halloween, the time of year, when paranormal becomes just plain normal for a spell. Therefore, I’m dedicating this special Halloween edition of my blog to the sixth sense. No, not the film, but that mysterious sense we all have, but just ignore. My research began on a ghost tour in Annapolis, Maryland, which led to digging into the local ghosts and perusing several books by Psychics, Echo L. Bodine and John Edward and then to Sidney Kirkpatrick’s book about “Edgar Cayce, An American Prophet”. And because of synchronicity, I stumbled on Carl Gustav Jung’s “Selected Writings” compelling, including theories on “Synchronicity”, “On the Nature of Dreams” and “On Life After Death”. There’s a long history of questions, theories, beliefs in the field but hard proof is still difficult to come by. Still, I had way too much information rattling around in the attic of my brain to stop at one article and I’m intrigued by the notion of finding a connection between paranormal psychology and science. What I have found, is a consensus among the “experts”, psychics and mediums suggesting we all have psychic abilities that are either undeveloped or just at different stages of development. 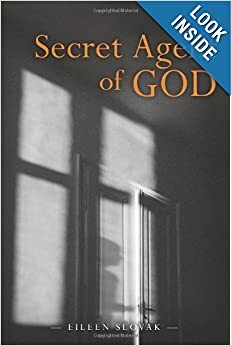 This sparked my interest in writing a novel, “Secret Agent of…God?” The premise: young protagonist, Janice Morrison’s discovery of foresight, leads to the upheaval of her ordinary life, a frightening interlude with terrorists and the ultimate struggle of faith. I plan to finish it by January, however, as there is no seeming end to research material, I continue my meandering study, one book or reference leading to another. My current bedtime reads include: “Questions from Earth, Answers from Heaven”, by Char Margolis and Victoria St. George and “The Power of Premonitions “ by New York Times bestselling author, Larry Dossey, M.D. Dossey presents a well-researched, scientific argument for PSI or parapsychology, using case studies and examples including those by well-known physicists. He references great thinkers such as Albert Einstein and authors Upton Sinclair “Mental Radio”, John William Dunne “An Experiment With Time” and “Nothing Dies” a book about immortality. Margolis, a Psychic Intuitive, suggests ways to enhance your own psychic abilities and includes examples of everyday psychic events, suggesting much of what we call intuition is actually psychic ability. So, are some scientists now seeing the light once reserved for Psychics? According to Dossey, The Stanford Research Institute and the Science Applications International Corporation are among those conducting studies to build scientific evidence. Perhaps quantitative data will be the key that unlocks the door to the other side. So what are your thoughts? Could psychic ability be like any other genetic or inherent gift, such as artistic or musical ability? Could PSI be laying dormant, just below the surface of our consciousness, waiting for us to awaken it? What would cause one person to tune in, but not another? When someone loses their ability to hear or see, the other senses intensify, filling in the gap. By that same token, can you train your brain to awaken your sixth sense by focusing on mind over matter and mentally shutting down your other senses? Or, as Dossey suggests, use the five senses to enhance the sixth. Whoa, shut the front door! Perhaps, all you have to do, is believe. Boost your writing enthusiasm; attend a Writers Conference. Because I thought I needed a finished novel to attend a writer’s conference, I waited until I had what I thought was a complete manuscript before attending one. In actuality, that may have been a mistake. The knowledge I gained from attending the conference helped me to redirect my writing efforts, to start promoting my work before publishing and to overcome fears, objections and writers blocks. I was nervous but quickly found my confidence. As a result, I had an incredible experience, further solidifying my wish to become part of the writing community. I was not the only one who still had work to do on my novels. I met both published and unpublished writers wanting representation for cookbooks, single novels at various stages or multiple novels. There were also self-published novelists looking for representation and publication for new work. A further surprise was how many unpublished Authors were writing blogs and already had Author websites. Just mixing with other writers was a bonus for me. Writing is such a solitary activity and if you do not already have writing friends, you may not have anyone in your life who truly comprehends your passion for writing and the struggles you face, like the fear that kept me from attending a conference sooner. Fear is a major obstacle for writers, whether it is fear of failure or fear of success. Both are roadblocks to power through. A conference offers an opportunity to attend seminars that will help allay your fears and concerns by offering facts, success stories and pertinent information. Attendance also gives you a leg up on writers who rely solely on the internet, due to face time with Agents and Editors. It is a professional but relaxed setting that pulls down the barriers between Writer and Agent or Editor. They are just people after all, people with the power to make or break us, true, but people in a business seeking good writers. Self-publishing was a hot topic, with Agents warning against writers jumping in without proper editing or serious effort made to seek traditional publishing. Were they nervous about losing clients to self-publishing? I’m not sure, since so many, take on so few clients. Some said they only take one or two per year, not great odds for us. Nevertheless, there clearly was an opportunity for self-published authors to use their online sales to option a publishing contract for new book sales. I left less fearful, with some new contacts, the names of some great potential Agents and a better understanding of the publishing business. I received some strong encouragement for my novels, but have since decided to rework them. If you attend a conference, you would be doing yourself a disservice by not taking advantage of submitting your work ahead of time for the nominal fees charged, versus traditional costs of $3 or $4 per page charged by many online agencies. I paid $45 for a review of my first fifty pages. I also found the query letter review well worth the time. Every author in my query letter group was given the opportunity to send his or her first fifty pages to the Agent running our workshop, following the conference. If budget is an issue and you have never attended a conference, you may want to start with a small, local conference. The next Unicorn Conference will be held on March 9 2013, prehaps I will see you there. Writer’s Digest lists upcoming conferences monthly in the Conference Scene column by Linda Formichelli. In a panel discussion at Unicorn, the Agents and Editors mentioned repeatedly, that they are seeking that next great story idea, but none seemed able to explain exactly what that meant, just that when they saw it, they would know. It makes sense, if you think about it, they handle the bulk of the business end of writing and they need us, writers, to come up with fresh, saleable and entertaining ideas. So, here’s hoping one of us is working on that next great story right now!